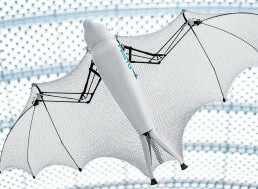 Frankfurt, The German expert has prepared the modern robot model of the ‘flying fox’ of a particular bat, which flies in the similar style of the bat. The experts of various countries have accepted this model as a challenge. The membrane of the wings is very delicate and during its flying, it controls the turn of this membrane with its paws and it can moves around very quickly. Even that during its very slow flying, it raised and now the experts have designed the flying robot after conducting the research work on it. The German company, Festive has designed it and this robot bat has the total weight of 580 gram and has the length of 87 centimeters. The length of its wings is 228 centimeters. There are two moves being considered in it, which are primary and secondary Kynamatics and it is very difficult to understand them. But the experts have designed it by understanding the Physics. 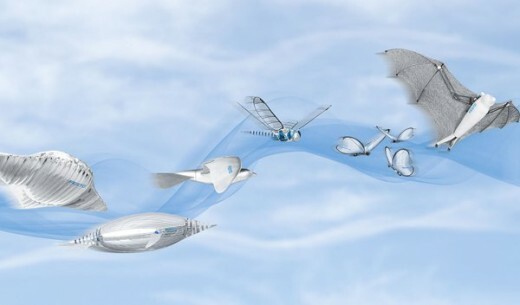 The experts have designed its wings with the special material, which are not only very light but they are strong and flexible. This flexible material has been joined on 45000 points with each other and despite being damage to the material, the bat can continue its flying. 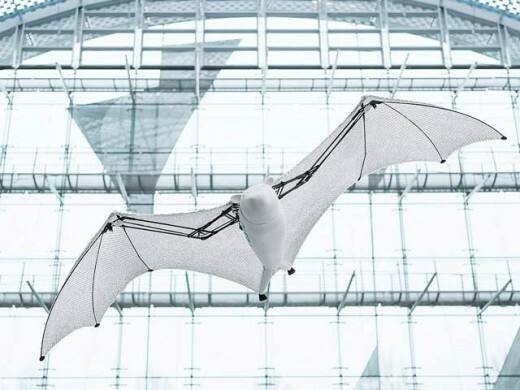 The experts think that this robot bat can be used in various important tasks and it can help to understand the complex flying of the birds and other animals.